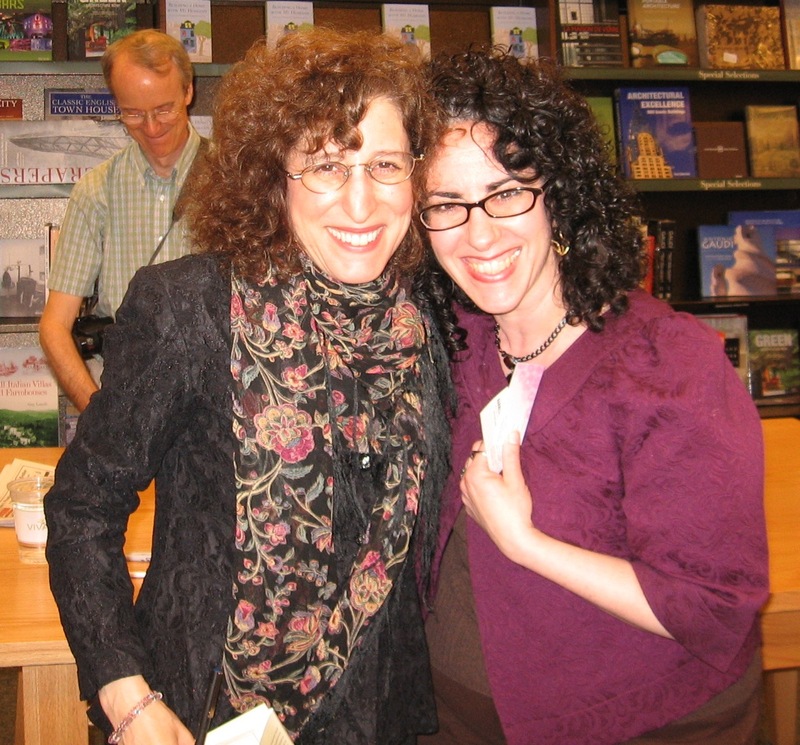 Today, Rachel Simon, author of memoir and women’s/ literary fiction, online friend and mentor joins me. I started e-mailing Rachel during my earliest writing days (almost ten years ago). She always responded, never failing in her gracious way to answer question after question after question about craft. Though advised against giving tips away gratis, she very generously provides a free on-line book of writing tips that is perfect for writers of all levels. As a beginner, it benefited me tremendously, and I continue to recommend it frequently. (It’s still at her website, www.rachelsimon.com.) Finally, Rachel never failed to cheer with every triumph I made in my own writing journey. Today I am honored, humbled, grateful and proud to know she is a reader of my blog. Welcome Rachel. So excited to have you! We’ve come quite a long way, since those days I first started sending you e-mails. Before you, I’d never considered contacting a published author; having you respond regularly was a thrill for me who was just starting out. I was reading Riding the Bus with My Sister (Bus from here on) at that time, and knew first-hand several of the places you referred to in the book—I even worked at one of them. In a way, that made me feel, on some level, as if I knew you personally. Thanks! This is so nice to hear. I think the relationships writers build with their readers/fans are quite unique—very different from those typical of other workplaces. For example, many of author Arthur C. Clark’s fans became his dearest and longest-term friends, and I’ve already seen that happening to me. People enter your book and enter your mind, and, chances are, if they like your book, they like you. And that means a lot to me, as it does to most writers. Not every author responds (and I doubt very strongly I’m the only with whom you correspond ;). Why do you find it so important to do so—every time, without fail? I’m sure your public speaking engagements, day jobs and other writing endeavors keep you very busy. When someone reaches out, Joanna, it’s human decency to respond in addition to being good business. It is extremely important, too, to be genuine with those who read your work and interact with you. As a writer, I am the brand and the relationship with my readers, fans and supporters is key. But I wouldn’t do it if I didn’t genuinely want to. I like people, and I understand the struggle of aspiring writers. This brings me to a point I find very important to make to those who reach out to the author. When you first started contacting me, you stood out for several reasons. First, you knew my writing. A lot of people who get in touch don’t take the step of reading me first, which baffles me. What would make them think that my work would be in sync with theirs if they don’t know it? Second—and probably more important—you showed respect by writing back to thank me every time I responded. That’s simple common courtesy. I can’t believe how many people don’t do that. It sometimes makes me wonder if I should be taking the time. Your politeness was greatly appreciated. Now you went and made me blush, but you’re very welcome. 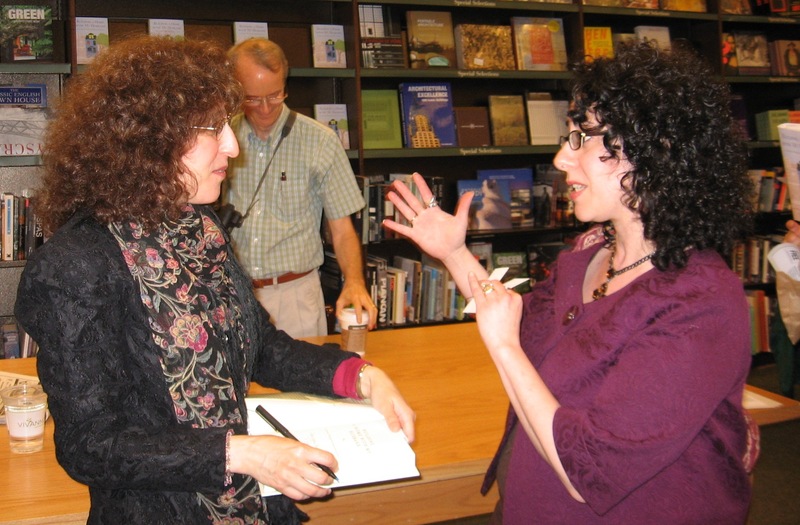 My first contact with Rachel came differently than with other authors. She gave the keynote address at my state’s annual occupational therapy conference and spoke about her then recently released memoir, Riding the Bus with My Sister, which tied in seamlessly with her talk about developmental disabilities to the population she addressed. I arrived late, just in time to hear her ask the audience: “Did you ever wonder who would play the characters in your book?” I had just started writing fiction at that time and found myself very intrigued by this question. Tell our readers how did material about developmental disabilities work its way into your writing? 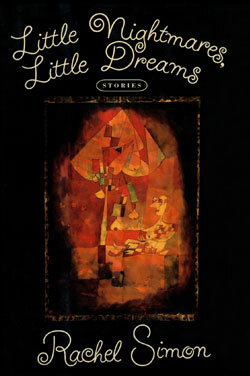 My first book, Little Nightmares, Little Dreams (Houghton Miffling, 1990), was a collection of short stories. Among them was the account of an employee in a sheltered workshop, a woman with developmental disabilities, who was baffled when a pair of conjoined twins joined the workshop. It was based on an experience my sister (the same sister who became the subject of Bus) had at her workshop, so it was set in a world I knew. I couldn’t, however, place the story in a magazine. This was the first of many times when I was “writing what I knew” about the world of disabilities, but found that editors backed away from the material. After this happened a few times, I was forced to become aware of publishing’s bias against stories about people with developmental disabilities. The situation has improved since 1990 but it could be better. How did Bus come about? In the late 1990’s I started writing freelance and commentary for the Philadelphia Inquirer. One day, when it was time to pitch a new piece to my editor, I was out of ideas. At the time I had three part-time jobs, and when I called my editor, I said they were the reason why I couldn’t concentrate on finding a new subject. I added that I was also preoccupied with trying to find a way to visit my sister, which meant working around her “bus schedule.” (My sister, who calls herself Cool Beth, spends all her time – twelve hours a day – riding city buses.) The editor was intrigued and suggested I ride the buses with her for the day then write a piece about it. The article was a huge hit and went national. 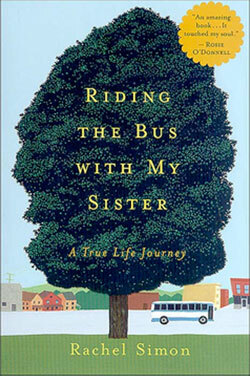 Soon friends started suggesting I write a book about being on the bus with my sister. I actually didn’t see how this could happen, but slowly I started to find a way to structure it, and that led to a book proposal. So how did one article grow into a full-length memoir? I’d just gotten a new agent—the wonderful Anne Edelstein—who I’m still with. She helped me review the proposal until it would work for editors. She then sold it at an auction. For the next two years, my editor worked with me to take the proposal to a book. It was a lot of effort, but we were all very happy with the result. Can you tell us anything about your agent? She represents literary fiction and literary nonfiction. I asked her once what she liked in a manuscript, and she said, “A great story, well-told.” This led to a discussion about how a lot of writers who craft beautiful sentences don’t tend to focus on strong plots, and vice versa. She takes on very few clients, and when she does, she wants them to do both. Bus hit the bookshelves in 2002 and took off with a life of its own. Would you elaborate on that? Bus was the fourth book I’d sold, and I knew from my past experiences – as well as several years working in bookstores – that I needed to be very active in promoting my work. So right when the book came out, I sent out letters to 2000 people in the disability community and public transit industry. Some responded by asking me to give talks to their groups, and I said yes to every invitation. Eventually word of mouth took over. Among other things, this led to the book getting onto school reading lists, becoming very prominent among family members of people with disabilities, as well as those who work with them, and opening doors for other memoirs about characters with developmental disabilities. Soon I had so many speaking invitations that I had to start charging a fee, and ultimately I got a speaking agent. All of this happened even before there was a movie, which was really gratifying. That said, the success of the book was a big surprise, since I hadn’t realized it had such a universal appeal. Bus became a Hallmark Hall-of-Fame movie. In Building a Home with My Husband (Home from here on), you alluded to how much money the movie version of Bus made, nowhere near the kind of numbers one would expect from an undertaking like that. Could you have held out for a feature film instead? After Rosie O’Donnell got hold of the book (still in manuscript form) and expressed her interest for making it into a movie, I learned that books that appeal to women mostly end up being made into television movies; the big screen is much more man-oriented. When a movie is optioned for TV, the chances of it being made are much better than for a feature film. Even though the money you can make from a TV movie is about a quarter of what you can make from a feature film, these facts made me open myself up to preferring that course of action. In addition, TV can translate into much more exposure; fifteen million people watched it the night it aired, and millions more in the reruns since. On top of all this, TV is more accessible than a movie theater. Getting to a movie theater requires transportation, which can be—and often is—an issue for people with developmental disabilities. Did you spend a lot of time on the set during the making of the movie? I was on the set for several days. They arranged for me to come when all the actors were present, so I got to meet and hang out with everyone. The filming was in Canada, and I remember flying there on July 4th. It was so strange to leave the U.S. on that day, but even stranger to enter the parallel universe of a movie set. It’s very much its own world. What was that like? What did you like best? What was the hardest thing to take? It was a fascinating and fun experience. I was allowed to go anywhere I wanted, from the director’s tent to the wardrobe trailor to the food van. Everyone, from the stars to the stand-ins to the sound engineers, was open to talking to me about what they did, how they got to where they got, and what they liked – and didn’t like – about the movie-making lifestyle. It was like learning about another culture, but with no language barrier, and way too much delicious food. The thing that was hardest was watching the scenes about my sister and me. Rosie O’Donnell was dressed like my sister, and Andie MacDowell was dressed like me, so it really felt like I was watching my own life. It was so surreal, that as soon as the cameras would start rolling – especially during really emotional scenes – I would burst into tears. It was an out-of-body experience. The screening in LA the following year was less overwhelming, at least in that particular way. Bus helped you come to terms with your own lack of acceptance of your sister’s lifestyle. Safe to say, through this experience you lived a character arc of your own. Please comment on that. I hadn’t understood, when I wrote the initial article, that I was judging my sister for her unconventional bus-riding life. Nor, when I sold the book on proposal, did I realize that my coming to accept her would provide the narrative arc. This was partially because I was still living the experience and didn’t know what it would reveal to me, and partially because I was clueless and needed to be enlightened. Fortunately, while I was riding with my sister – and writing the book – I met her case manager, beloved bus drivers, and boyfriend, and they all gently nudged me in the direction of accepting her on her own terms, as they had. The editor was also quite helpful here; she realized what my character was learning before I actually did, and in our many discussions about the text, I came to see how I was actually changing. I’m not sure if I would have come to accept my sister without writing the book, and of course if I hadn’t come to accept my sister, the book would have been less interesting. So this is one of those lovely moments in a writer’s career where the production of a book truly changes her personal life. The financial success of the book is certainly a wonderful thing, but it’s even more wonderful to know that it made me a better sister. Beautifully expressed, Rachel. I would hope that we, as writers, hope to move people–sometimes even ourselves– through our works. We are so not done, but we’ll stop here for today. Join us again tomorrow for more on Rachel, her books and how she truly shows us her heart through her unique and special way with the written word. Please feel free to comment and leave questions but note that I’ll be collecting questions too. You can e-mail me directly (joanna@joannaaislinn.com). I will forward questions to Rachel, then post her responses in a blog the following week (day/date to be determined). Thanks so much for joining us and don’t forget to come back tomorrow! An aside for those who love this blog–one could hope :)–but prefer fewer e-mails: make sure to subscribe! (You’ll get auto-notice on every post.) Eventually, I’ll be making all announcements from here and will create a separate e-mail list of those who do subscribe (remember to let me know so that you don’t get double notification). Fabulous post, ladies. What a wonderful relationship you have developed with each other over the years. Rachel, what an amazing experience to not only have written such a personal story, but to have it turned into a movie as well. Your comment about books women like as tv movies and books men like as feature films was an intriguing way to look at it.